Decided to sell off my whole stereo system a few months back out of fear of the kids pushing over speakers or tugging on wires etc. 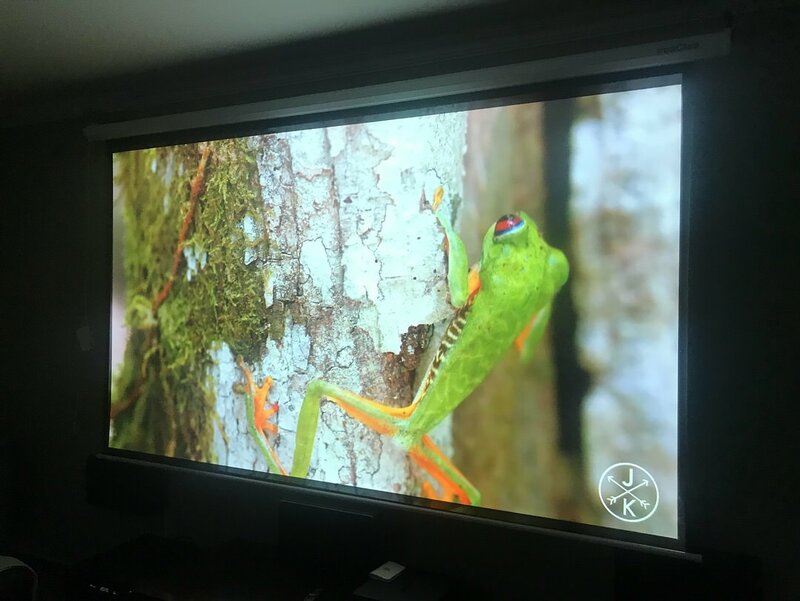 Projectors are great. 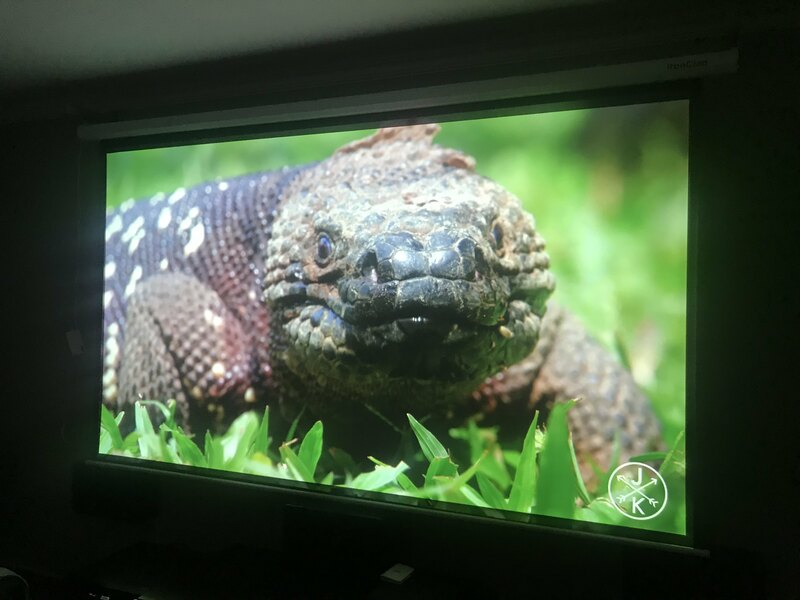 We use the TV because of the fireplace and the limited seating in our movie room, but I much prefer the projector. 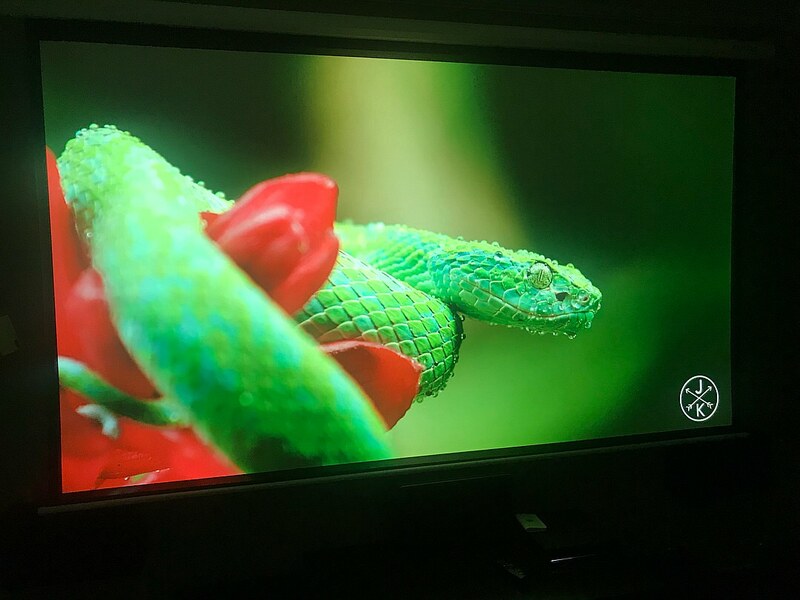 Aside from the bigger screen size, it just seems like a more natural picture to me (that is with 1080, we don't have 4K). Kind of like vinyl versus digital. 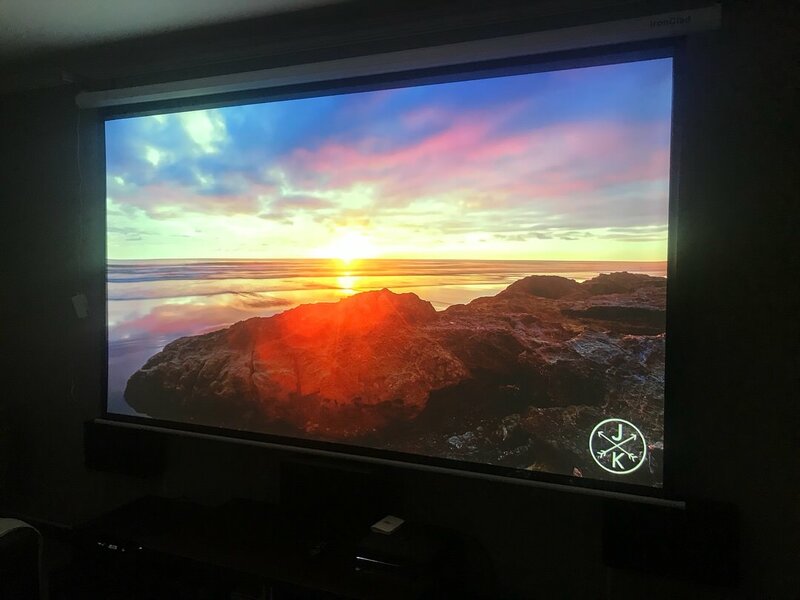 Some movies just have to be watched on screen as big as you can make it. Scenes from "5th Element" and "Valerian - City of 1000 planets", both Luc Besson's Sci-fi masterpieces. 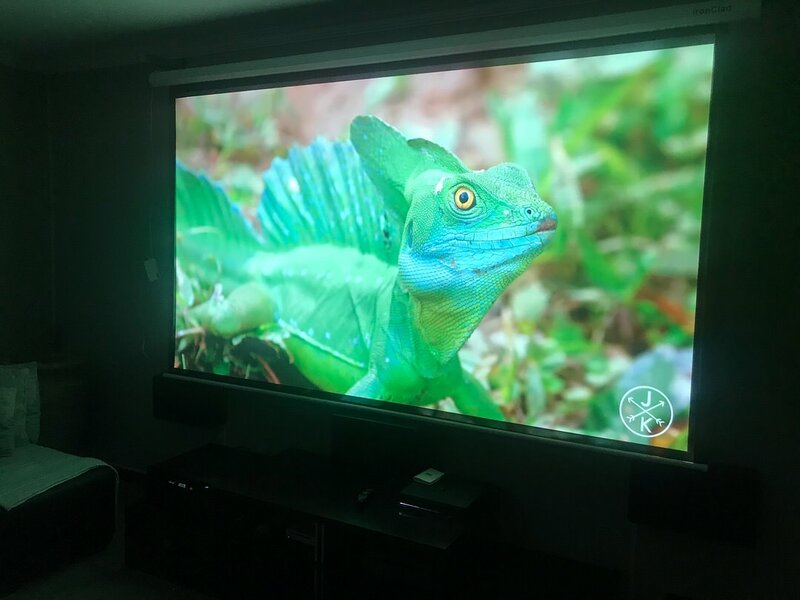 Projector is Sony Bravia VPL-HW10 SXRD , screen is entry level material, about 2.5m horizontal. Run it in cinema mode. 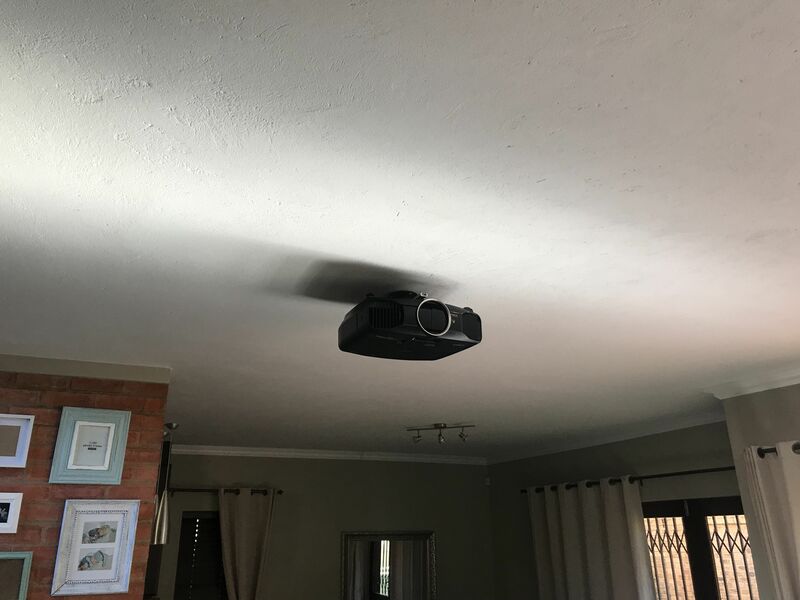 That's an extremely neat installation of the projector on the ceiling. I can't see any cables in sight. 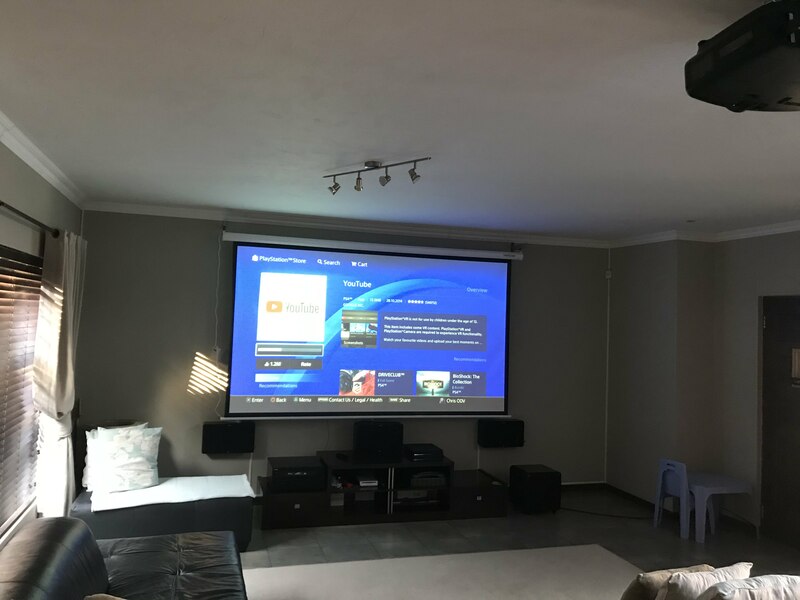 I have a similar setup with electric screen coming over wall mounted TV. Did you use special brackets for the offset from the wall? 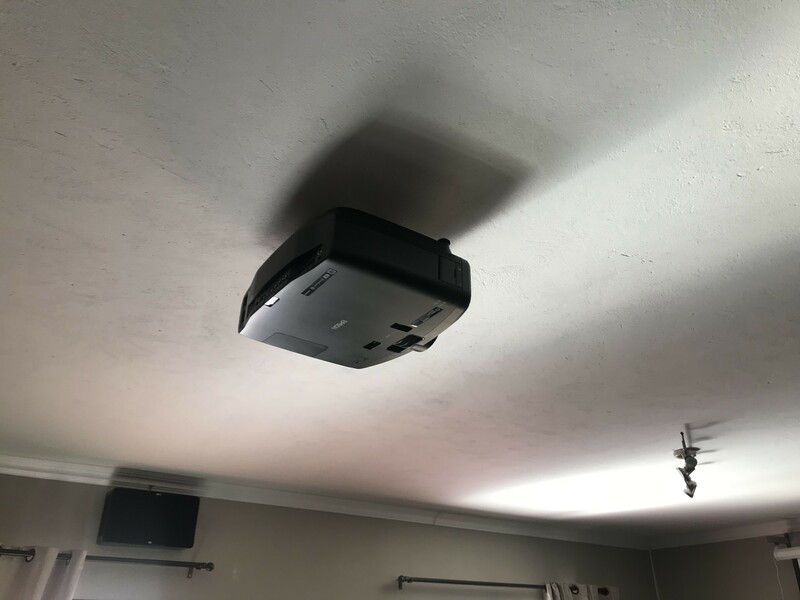 Awesome quality and very neat install! Looks great... I need a projector set up!